Correction: This story has been edited to correct a reference to Qaran Financial Express. The company has worked to implement money-laundering programs. It sued an employee for allegedly conspiring to file inaccurate reports and steal money. Federal authorities have rounded up six Somali refugees for their role in a national ring set up to provide financial and logistical support to the Somali-based terrorist group al Shabaab, the Justice Department announced Wednesday. Indictments unsealed in San Diego and St. Louis reveal the ever-expanding American support structure for the terrorist group. This week's arrests follow on the heels of a similar nation-wide investigation this past summer which resulted in the arrest and indictment of 14 individuals from Minnesota, Alabama, and California. While the new indictments initially looked to be distinct, upon further inspection, it appears they may be linked. Al Shabaab was designated a Foreign Terrorist Organization (FTO) on Feb. 26, 2008 for its use of "harassment and targeted assassinations of civilians, improvised explosive devices, rockets, mortars, automatic weapons, suicide bombings, and general tactics of intimidation and violence." Since that designation, the group has continued to undertake terrorist acts, most notably the July, 2010 suicide bombing during a World Cup viewing party that killed 74 people in Uganda. Despite its violent activities, beginning in February 2008, the collected defendants all appear to have played a role in a complex scheme to funnel money and equipment to al Shabaab via an extensive hawala – or money transferring network – in the United States. Prosecutors allege that Basaaly Saeed Moalin, Mohamed Mohamed Mohamud, and Issa Doreh in San Diego; and Mohamud Abdi Yusuf, Duane Mohamed Diriye, and Abdi Mahdi Hussein in Missouri, conspired to raise and transfer tens of thousands of dollars to al Shabaab in support of its efforts to overthrow the current government in Mogadishu. Although the individual indictments do not make any direct connection between the cases, a side-by-side comparison suggests they are indeed tied together. The Missouri indictment identifies numerous individuals operating within San Diego, including "I.D.," an "employee of Shidaal Express, Inc. who lived in the San Diego, California area." Public records indicate that Issa Doreh, a named defendant in the San Diego indictment, operates "Family Barber and Beauties," a business which shares an address with Shidaal Express, Inc. in San Diego. The Missouri indictment identifies an "unindicted co-conspirator" as "a Somali national who immigrated to the United States and lived in San Diego, California." The actions of that unindicted co-conspirator match up with the charged conduct of Moalin, a defendant in the San Diego indictment. Finally, it is possible that "M.K." a "person from Somalia who lived in the San Diego, California area," is the same as the San Diego cases Mohamed Mohamed Mohamud, also known as "Mohamed Khadar." 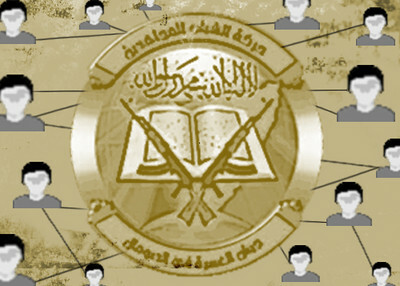 In order to avoid detection, the defendants used coded messages to discuss al Shabaab, its leadership, and their intended financial support for the militant group. They "sometimes used fictitious names, names of third persons, fictitious phone numbers, or phone numbers of third persons when sending funds or causing funds to be sent to al-Shabaab from money remitting businesses in the United States," the indictment said. The conspirators also sent their funds in structured amounts and otherwise avoided and attempted to avoid record keeping requirements. The men used hawalas—both registered and unregistered—to move money from the United States to African countries. Two of the hawalas identified—Shidaal Express, Inc.,and North American Money Transfer, Inc.—have a history of money laundering and terror-financing violations, public records show. Take, for example, North American Money Transfer (NAMT) which is incorporated in Georgia, but has branches in Missouri and elsewhere throughout the United States. In August 2009, the Justice Department charged the company with a series of financial crimes, including operating as an unlicensed money transmitting business in the State of Michigan. According to the indictment, between Jan. 3, 2008 and April 15, 2009, "NAMT wire transferred approximately $12,820,000 from the United States to Africa Horn in the United Arab Emirates, for distribution to the intended recipients in Somalia and other countries located in the Horn of Africa." Over a period of 10 months, the defendants in the cases announced Wednesday raised and transferred approximately $26,000 from various locations within the United States to Somalia. Separating the payments into 20 separate transactions, each of them were structured to evade the $3,000 limit that would have required the hawala to verify a name and address of the sender through a photo identification. The plot appears to have been organized and run in the United States by Mohamud Abdi Yusuf in Missouri and Basaaly Saeed Moalin in San Diego. On Jan. 21, 2008, Moalin reportedly told Yusuf that he was responsible for Ohio, California, and Missouri, and for "all the connections for these areas and [is] the link who does the job for them." The San Diego indictment alleged that on January 20, Moalin spoke by phone with now deceased al Shabaab leader Aden Hashi Ayrow. During that conversation Ayrow told Moalin that "it is time to finance the jihad." The following day, the Missouri indictment indicates that Moalin spoke with Yusuf about the earlier conversation and told Yusuf that "al-Shabaab planned to fight and to use funds sent from the United States to purchase ammunition, among other purposes." On May 12, Yusuf and Hussein discussed the need to send $5,000 to Somalia "without providing reports, identification documents, and requirements, or being identified as the sender of the $5,000." Following this conversation, the men, using a Minneapolis hawala called Qaran Financial Express sent six transactions from May 18 to May 29 totaling $10,000. $2,000 was sent by Moalin via Shidaal Express in San Diego. Those funds were deposited on July 15 by Yusuf into an account at Bank of America in Missouri and withdrawn on July 16 at a Bank of America branch in San Diego. Finally, between November 2008 and March 2009, Yusuf funneled another $6,000 in structured payments to Somalia using Qaran Financial Express, LLC. One month after these payments ceased, the St. Louis office of the FBI raided NAMT and seized "all books, records, ledgers, correspondence, faxes, receipts, statements, agreements, checks, deposit slips, notes, and other documentation, in whatever format it may exist, relating to the transfer of money, currency, or funds." According to the search warrant, authorities were looking for evidence that NAMT was operating an unlicensed money transfer business, money laundering, and structuring of transactions. Once the money left the United States it appears that Duane Mohamed Diriye managed the receipt of funds inside Somalia and Kenya. Moalin and Yusuf also reportedly communicated with other unnamed militants within al Shabaab. All of the defendants but one have been arrested and brought before federal judges in San Diego and St. Louis. Diriye remains at large in Kenya or Somalia. If convicted each defendant faces a maximum of 15 years in prison for the "material support charges" and an additional five years for the structuring offenses.